Don't you DARE knock this genius creation until you've tried it. "Peanut Butter & Jelly... grilled cheese??" 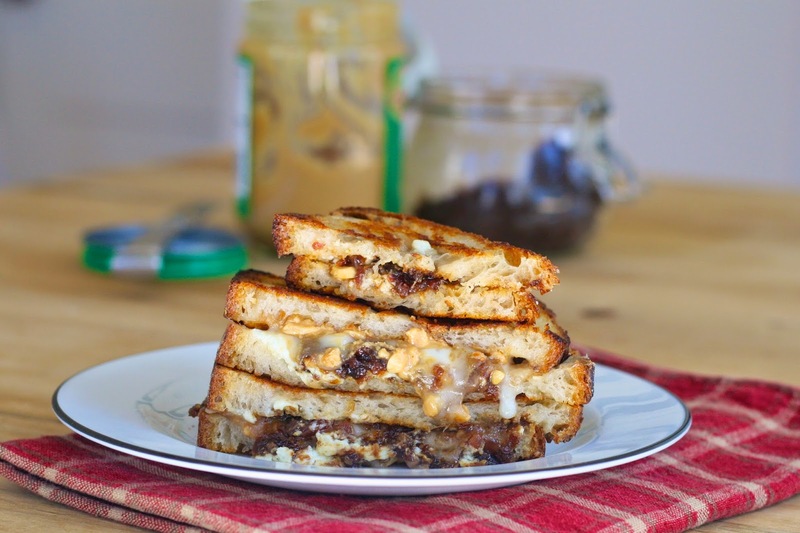 Think about it... two of your favorite childhood sandwiches combined in the most delightful of ways to create a super gourmet, adult grilled cheese. Plus, April is National Grilled Cheese month, so it's a time to celebrate and reinvent the beloved grilled cheese and take it to new heights. First... let's talk about the jam. It's actually bacon jam. Soooo you're probably already half sold, right? Especially if you made it from the recipe I posted last week. (I've also head you can buy it at places like Whole Foods, but trust me... homemade is so ridiculously good). Second... the PB. 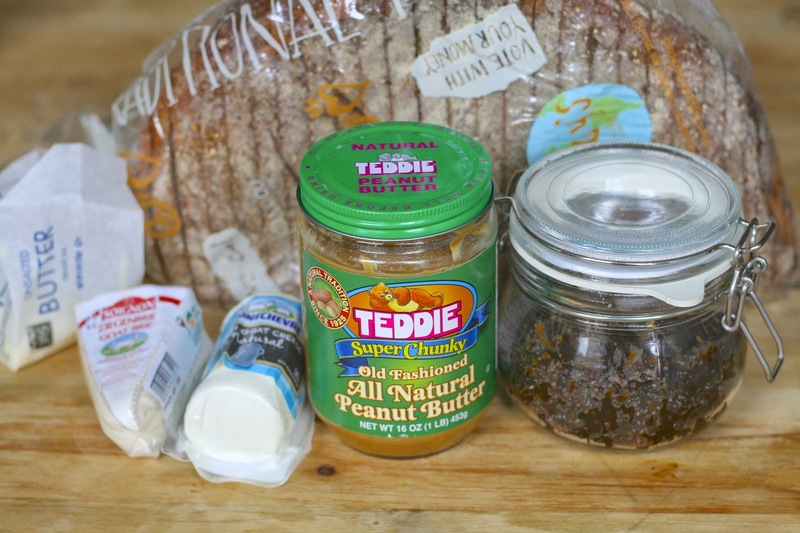 I happen to be addicted to this old fashioned, all natural PB made by this Teddie brand. (I mayyyyyy or may not have 2 spoonfuls like everyday). I say go for unsweetened. Finally... the bread. Go with your fave, but I found this rustic-looking half basket at the Whole Foods bakery and it was fab. Butter your slices and flip them over on a plate. On one slice, spread peanut butter and the brie. On the other, spread the chevre and the bacon jam. Slap them together and grill on each side until nicely browned and the cheese is properly melted. And when I say "properly melted," I mean oozing out of every nook and cranny. 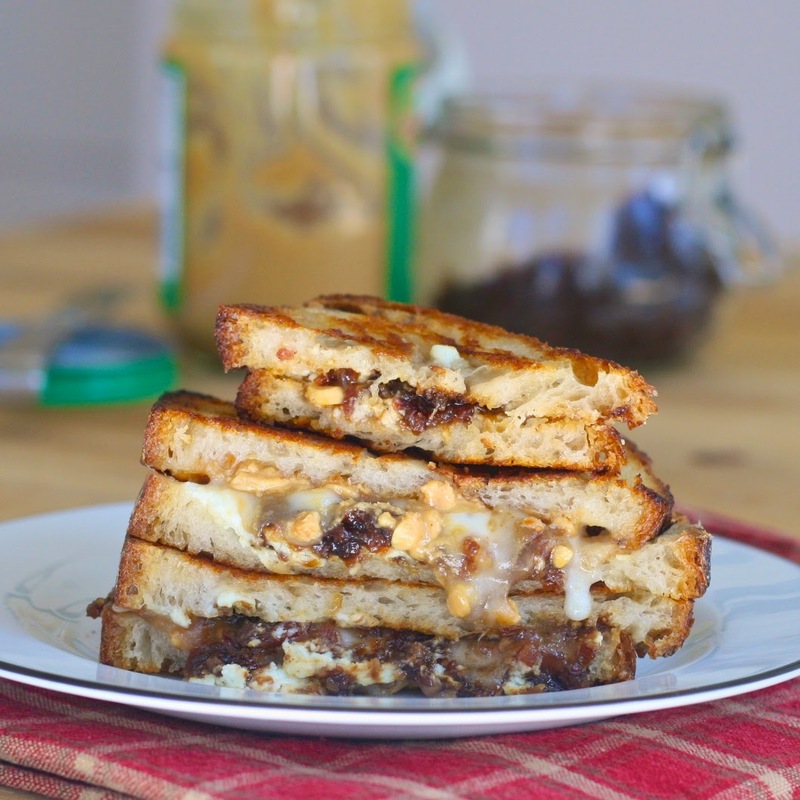 PB&J Grilled Cheese. Get on board. Butter bread on one side, flip over. 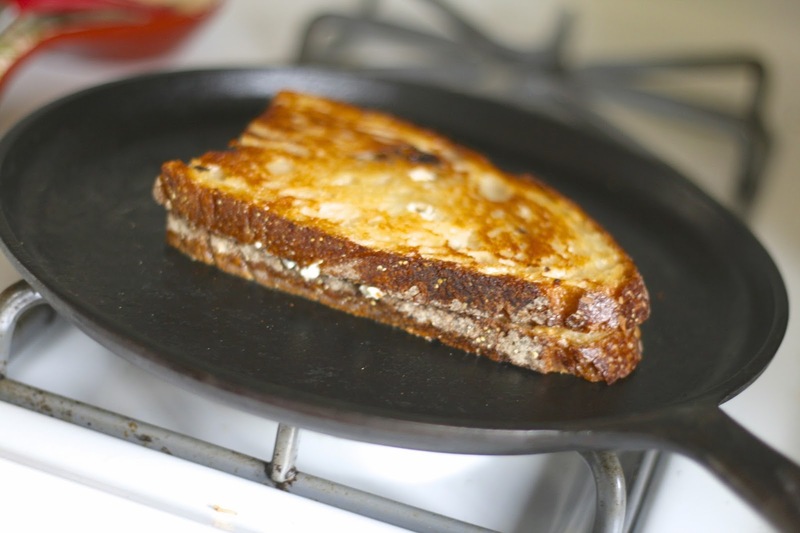 Spread one side with peanut butter and brie. 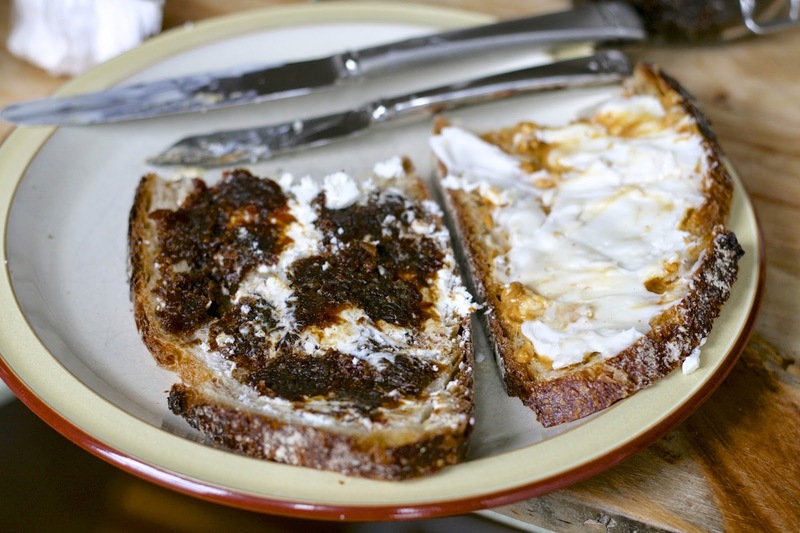 Spread chevre and bacon jam on the other. Sandwich together and cook over medium heat until both sides are nicely browned. Serve immediately!